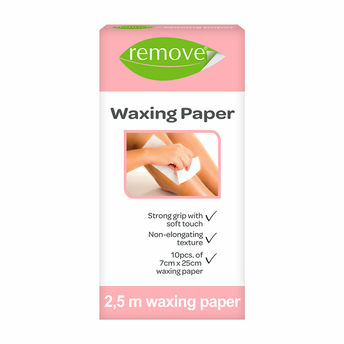 Remove Waxing Paper provides you an easy and practical waxing experience with its strong adhesiveness and rigid, untearable design. The strips produced in thick, flat and durable form are a total of 2,5 meters comprised of 10 strips. 25% longer waxing paper increasing the performance of waxing with its special texture and strong thickness. Each strip is of 7 cm width and 25 lengths.